Facebook revealed last week that malicious actors may have obtained access tokens for 50 million accounts after exploiting several bugs related to the “View As” feature and a video uploader introduced last year. The breach was discovered last week following an investigation triggered by a traffic spike observed on September 16. Facebook says it has patched the vulnerability and there is no evidence that the compromised access tokens have been misused. The incident, the latest in a series of security and privacy scandals involving the social media giant, could have serious repercussions for Facebook. The company’s stock went down, and it faces probes by government authorities, class action lawsuits, and a fine that could exceed $1.6 billion. Industry professionals have commented on various aspects of the incident, including GDPR implications, the impact on Facebook and its users, the vulnerabilities exploited by the attackers, and the company’s response. “What the hackers accessed is interesting to me– information about the accounts having to do with user data rather than financial. This really underscores the new value currency of privacy and personally identifiable information, which includes demographics like gender, hometown, name, age (birthdate) and anything else a person has under their ‘About’ tab. After the misuse of personal information by Cambridge Analytica, one starts to speculate that the same information is being harvested for similar militant bot and troll activity online, especially heading toward elections and other significant activities. Sometimes why hackers go in and what is taken can give clues as to who the hackers might be – in this case, I can speculate at a probable nation state or other political group data harvesting operation. “The immediate challenge for Facebook is going to be identifying what accounts were touched, compared to which ones were truly compromised. The 50 million number could change as we often have seen with past breaches. But it is quite likely a subset of those were specifically taken over. “One of the best proactive strategies in reducing the risk of introducing vulnerabilities in applications is the enumeration and systemic adoption of ‘secure design patterns.’ While they may be unique to each organization and perhaps each application, secure design patterns help solidify those code level patterns that developers must adhere to in order to ward off the introduction of exploitable vulnerabilities. “New features increase the risk that vulnerabilities like this can become part of the live application and Facebook are known to implement new features at a high rate, having been acknowledged as the leader in agile web development practices in the past. “These types of incidents serve as a reminder that no organization is immune to cyber threats. Facebook is at the forefront of web application security and have an incredibly talented team dedicated to protecting the security and privacy of their users. As a professional who has worked with companies around the world to enhance and build their cybersecurity programs, I would say that we need to learn from incidents like these and not rush to judge companies like Facebook. “First, I think it’s great that Facebook appears to have reacted so quickly, as it’s a sign of the growing maturity around breach response that we’re starting to see as GDPR comes into effect. Understanding if there was a pattern to the impacted accounts versus just random selection is the difference between someone trying to hack the system for fun or a coordinated nation-state attack that compromises specific users to ultimately gain access to sensitive data. “The view-as feature within Facebook’s platform, while well-intentioned, is difficult to implement programmatically, in that you are viewing your account as another individual – essentially a light version of account impersonation. When implemented properly, you’re given a specific view of an account based on what is programmatically known about the account you’re viewing from. 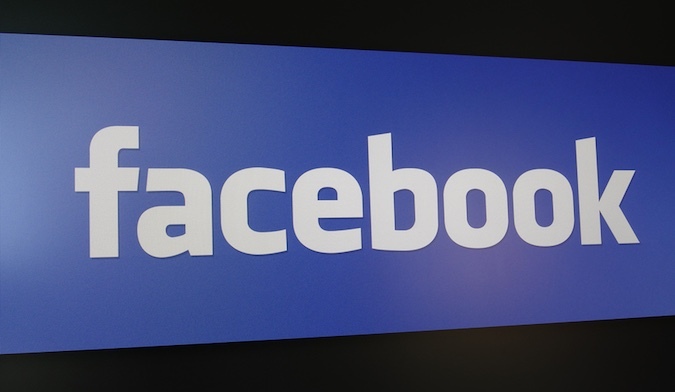 Based on information available, a video uploading feature implemented in July of last year exposed this feature to a flaw that allowed attackers to impersonate other user accounts and effectively obtain full access to their Facebook profiles. It appears that attackers are able to access the accounts of ‘friends’ or those already connected to the compromised account. “In something as big and complicated as Facebook, there are bound to be bugs. The theft of these authorization tokens is certainly a problem, but not nearly as big of a risk to user's privacy as other data breaches we have heard about or even Cambridge Analytica for that matter. “While the “View As” feature sounds like a useful way to see what your profile looks like to your ex-girlfriend, it was clearly built without thinking through security. Instead of just seeing through someone else’s eyes, Facebook essentially lets you borrow their identity. Armed with someone else’s access token you can get to lots of private and highly privileged information. In addition, millions of people use their Facebook ID (authenticated through their access tokens) to connect to other services where they might be storing files, making purchases, or doing other things that they thought were private. Facebook claims to not know what these 50 million access tokens are being used for, you can bet that the thieves have found them to be very valuable.